Jamie Julia Finizio Bascombe was admitted to the Florida Bar in 1993 and the United States District Court for the Southern District of Florida Federal Court in 1994. She earned her undergraduate degree from the University of Florida in Business Administration with a major in Finance. She then studied law at Nova Law School where she served on law review for two years and graduated as a Senior Member of the Nova Law Review. Her participation in Moot Court Competitions and American Trial Lawyer’s Association (ATLA) trial competitions resulted in great reviews and lead Jamie to trial work. Prior to Law school graduation, Jamie served as a legal intern with the Broward County State Attorney’s Office where she prosecuted over 100 cases and tried over 20 jury trial matters and numerous bench trials. During law school Jamie served an internship in London with an English Solicitor’s Law Firm for a semester where she assisted in barrister tried and solicitor prepared cases in various London courts and studied the English legal system and a comparison of the two legal systems. Throughout her legal career Jamie has litigated and tried both Defense and Plaintiff personal injury cases and has handled Bad Faith insurance matters. Jamie has been awarded fees and costs by the court in various insurance law suits and has testified as a fee Expert in court on numerous occasions throughout the Tri-County area. 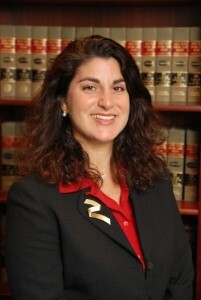 Her professional affiliations include and have included the Florida Bar, the Federal Bar Southern District of Florida, The American Bar Association, The Academy of Florida Trial Lawyers (now known as the Florida Justice Association), The American Trial Lawyers Association, The Broward County Bar Association, The Broward County Hispanic Bar Asssociation, The Broward County Trial Lawyers Association(now known as BCJA), the Brazilian-American Chamber of Commerce, the British American Chamber of Commerce and Executive Board Member of the Broward County Bar Association Young Lawyer Division for 4 years. Jamie has also served as a Florida Bar Board of Governor’s Young Lawyer Division Circuit Delegate and served on the Florida Bar Attorney Dispute Arbitration panel that was implemented by the late Judge Henry Lattimer. Jamie has served as President of the Broward County Women Lawyers’ Asociation and has held nearly every position within the organization and continues to serve on the board. Jamie is fluent in Spanish and has a conversant working knowledge of Portuguese and Italian.